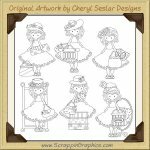 This collection of adorable and cute line art graphics is perfect for all your Mother's Day project needs. 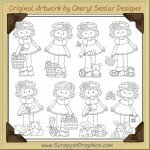 This set includes 6 different printable clip art graphics of a little girls holding a flower along with grass, tulip, rose singles and I LOVE YOU MOMMY word art. 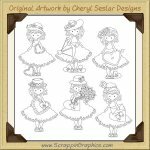 Great collection for making digital or clear stamps, digitized embroidery, coloring pages as well as scrapbook pages, cards, labels, tags, invitations, and other printables. 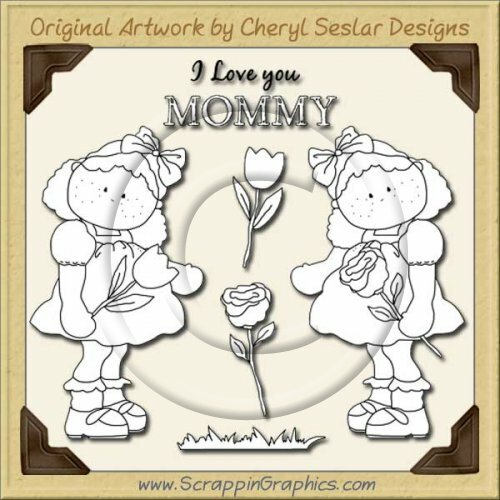 Graphics cannot be colored to create new clip art sets for resale.